Natural Value Duck Tenders are proud to be 100% farmed and made in the USA. 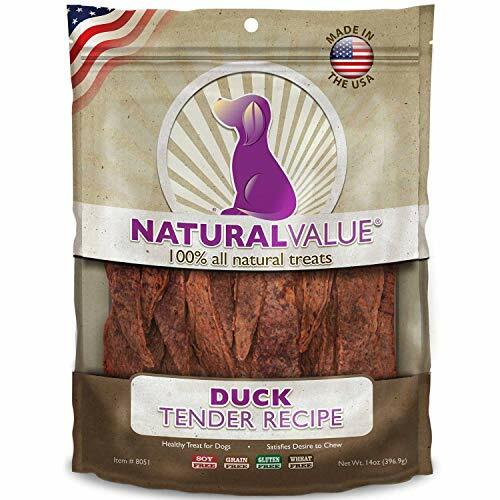 Natural Value Duck Tenders are proof that healthy, safe U.S. made dog treats can be affordable. Cooked on open grilling racks to reduce fat and give them a delicious flavor, our Duck Tenders are sure to be your dog's favorite treat. Since they're 100% farmed and made in the USA, they should be your favorite too. If you have any questions about this product by Loving Pets, contact us by completing and submitting the form below. If you are looking for a specif part number, please include it with your message.